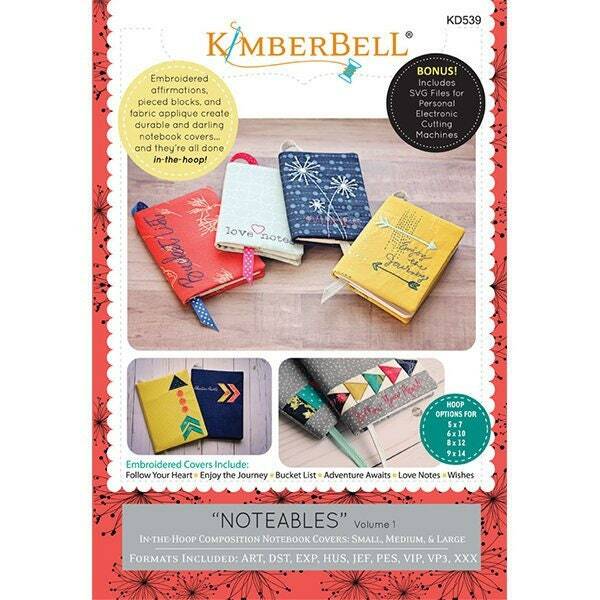 Kimberbell Noteables are composition book covers that turn ordinary writing paper into a noteworthy journal. 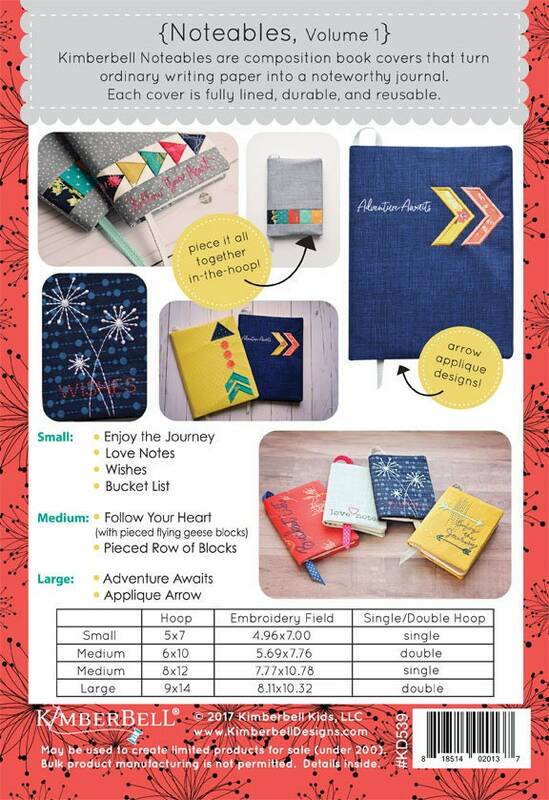 Each machine embroidered cover is fully lined, durable, and reusable — and best of all, each are made (even pieced!) entirely in-the-hoop! Note: Bernina users will need the Large Oval hoop. Note: Bernina users will need the Mega Hoop and/or Maxi Hoop. Note: Bernina users will need the Jumbo hoop.